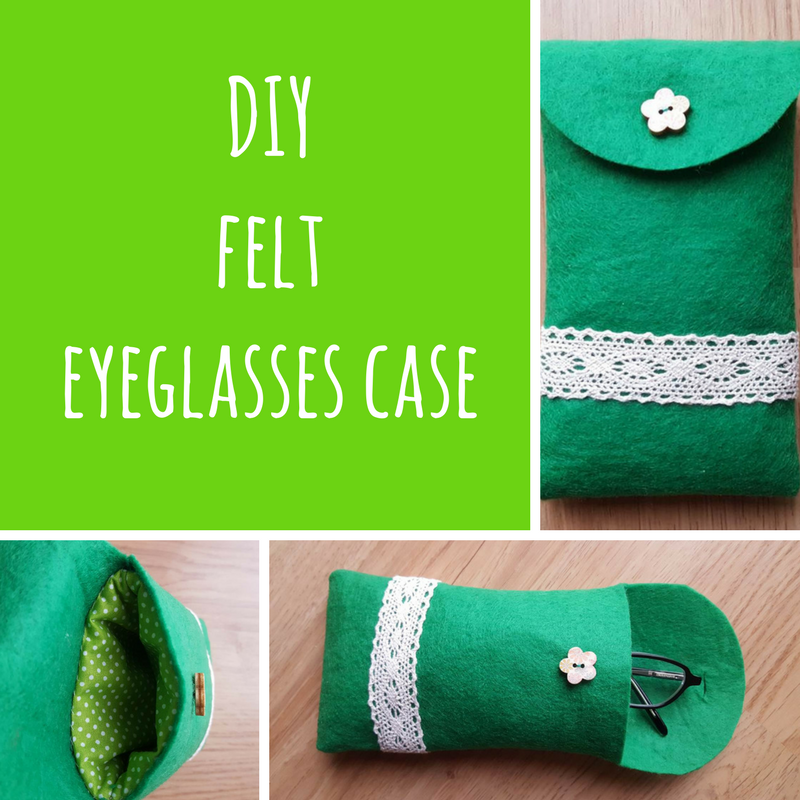 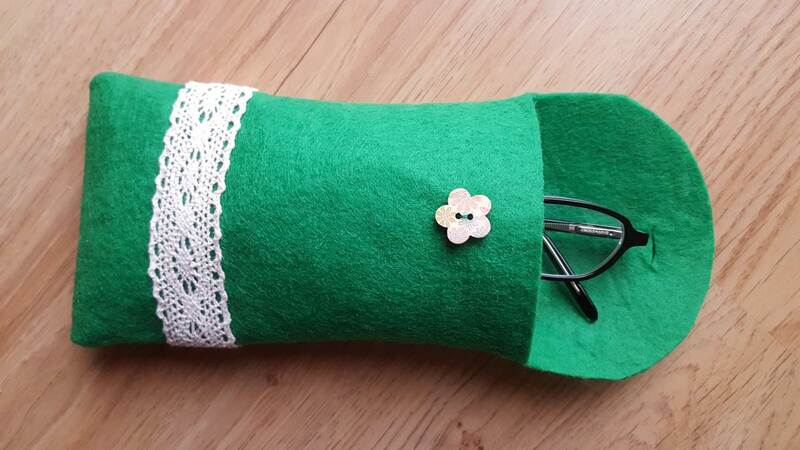 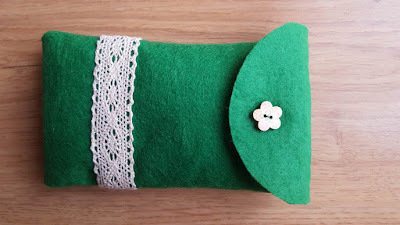 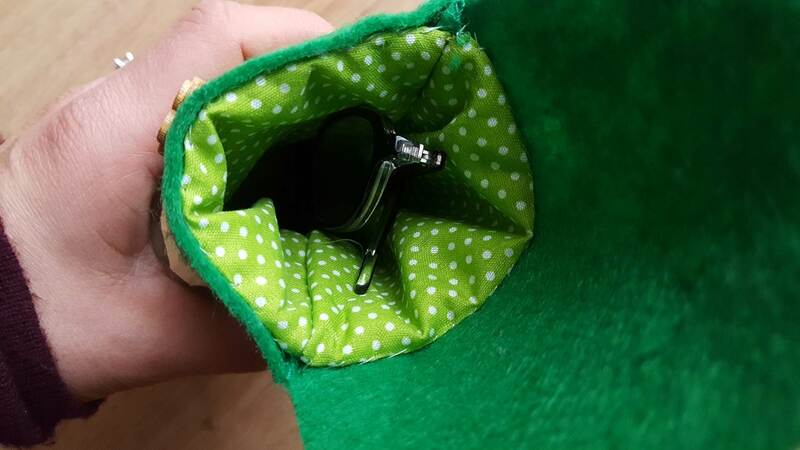 This padded felt eyeglasses case was made at the request of a friend. 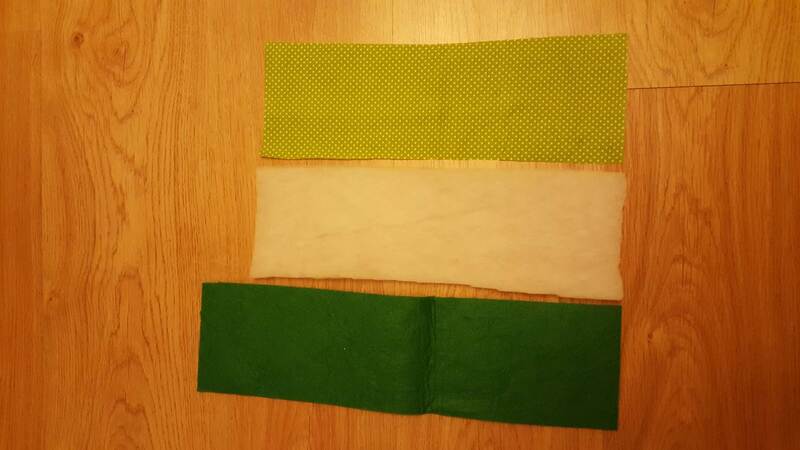 She gave me the approximate measures she wanted but gave me total freedom with respect to materials and colors. 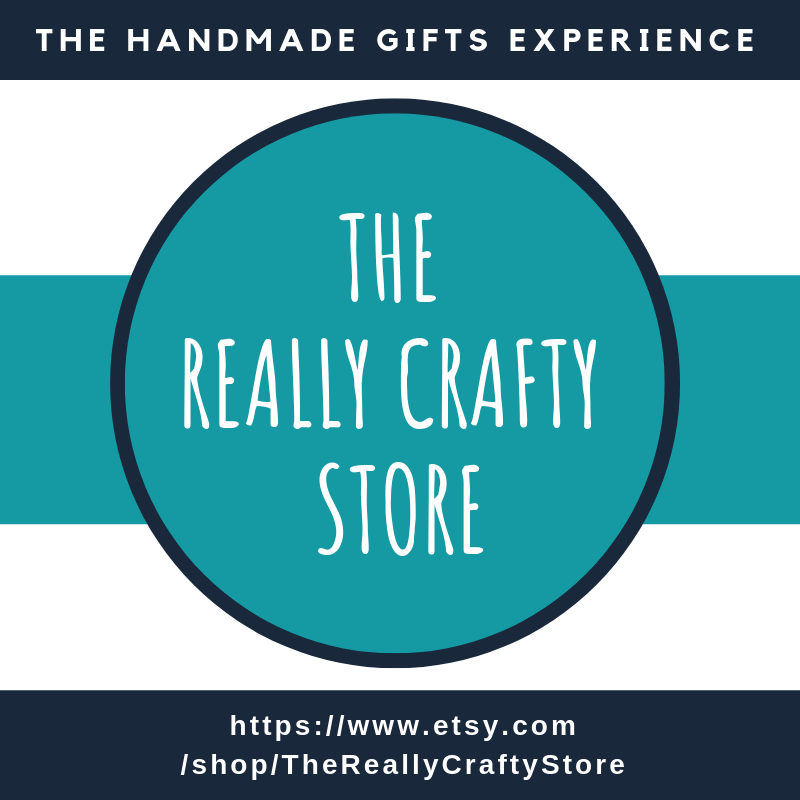 Because I love working with felt, it was a an easy choice for me. 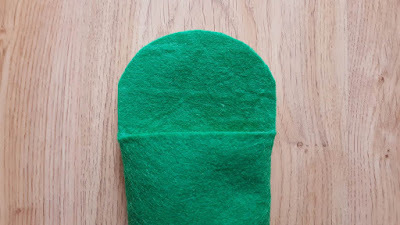 And because I know she loves everything Irish, I managed to find a piece of Irish green felt in my stash and decided it was just perfect. 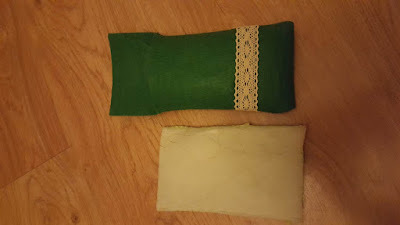 Because I wanted the glasses case to be padded to offer more protection, I added lining and batting. You can see below the pieces of fabric I used. 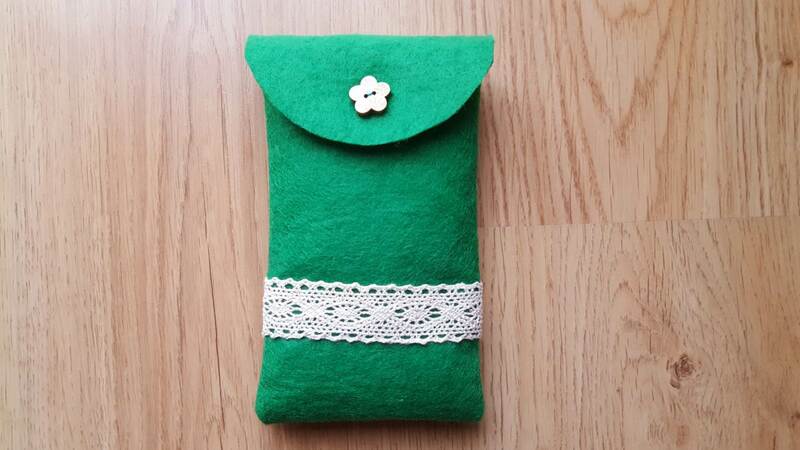 The felt is long enough to fold into the case and have a folding flap. 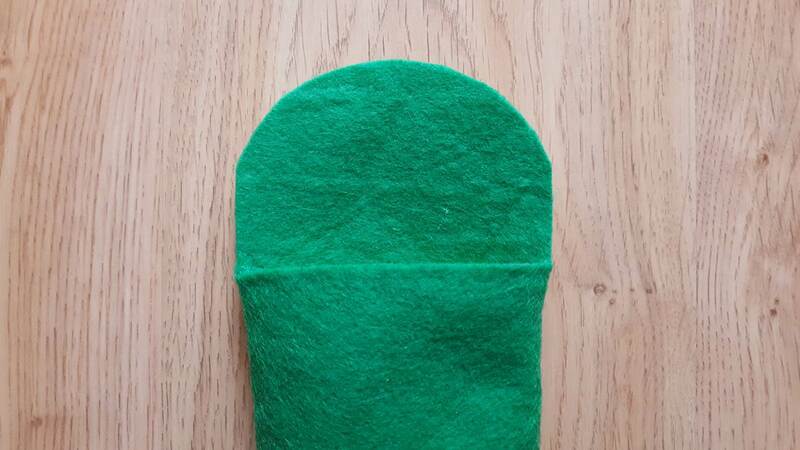 Batting and lining are the same size - minus the flap. 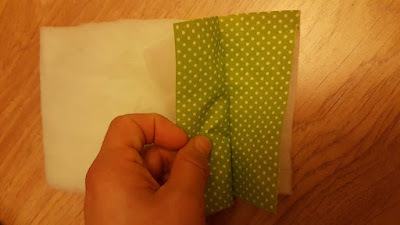 First I folded the lining piece right sides together (with the batting on top) and sewed the sides. 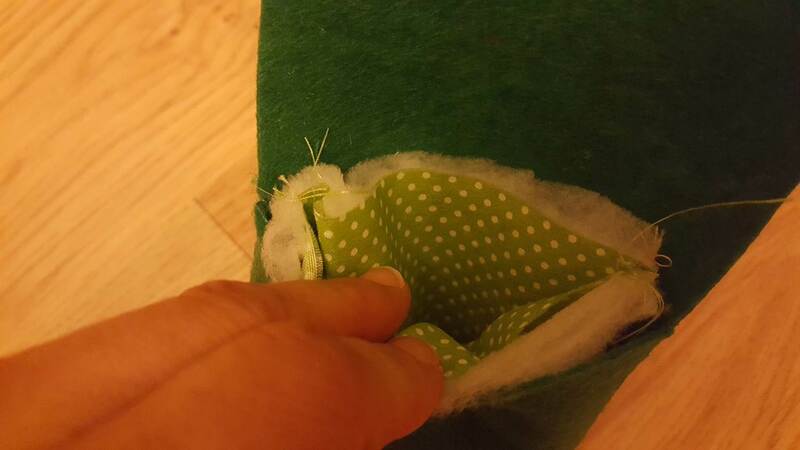 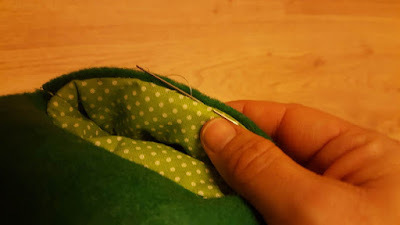 Then I did the same with the felt, turning it inside out after sewing. 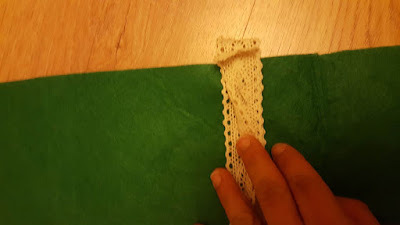 Before sewing, though, I added a bit of lacy ribbon. Once both pieces were sewn, I placed the lining inside the felt case, folded the the edges in and hand-stitched all around. 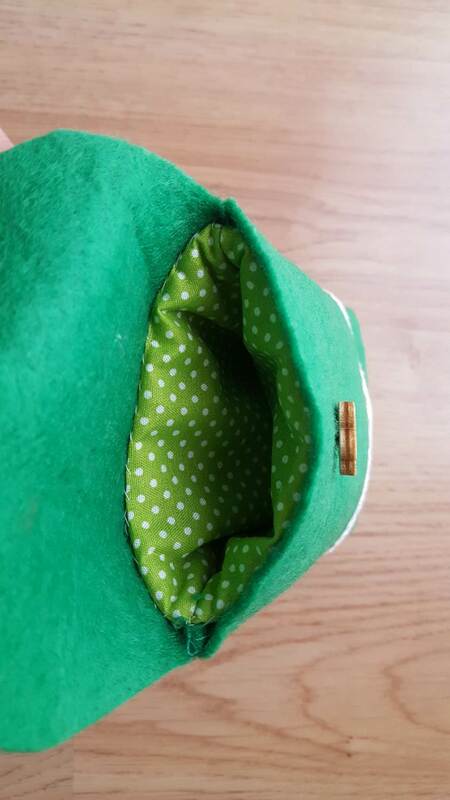 Then I decided to round the flap a bit to make it prettier. 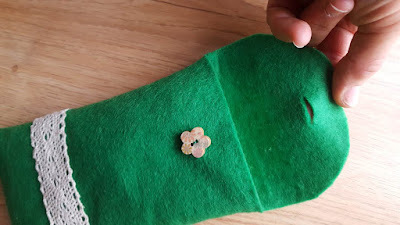 Once that was done, I added a cute button and cut a small slit on the flap for the buttonhole (this is one of my favorite things about using felt - just being able to cut and not worry with fraying).